Dr Mike Catton is Director of the Victorian Infectious Diseases Reference Laboratory (VIDRL), and Co-Deputy Director of the Doherty Institute. He trained in microbiology, then medicine at the University of Otago in New Zealand, and received his Fellowship of the Royal College of Pathologists of Australasia (RCPA) in virology in 1992. He has been Director of VIDRL since 2001. His professional interests are in molecular viral diagnostics, high containment laboratory facilities and emerging viruses. 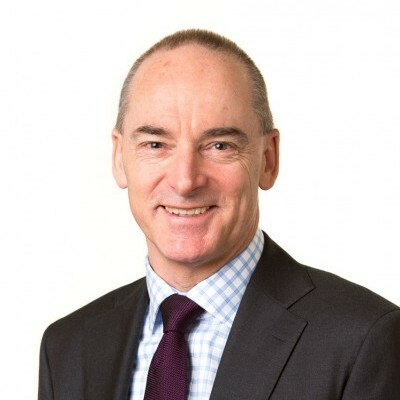 He has served on diverse advisory committees related to public health and infectious diseases, to the Victorian and Australian governments, the RCPA, and WHO, and has consulted for WHO internationally. He was cofounder and founding Vice-President of the Association for Biosafety of Australia and New Zealand (ABSANZ). He currently serves on the advisory committee of the Victorian Donor Tissue Bank. In 2003, Mike led a collaborative effort to develop Australian laboratory capacity for responsiveness to SARS. In 2006, he led a successful tender to the Australian Government for the management of the WHO Collaborating Centre for Reference and Research on Influenza and oversaw the centre’s transition into new facilities at VIDRL completed in 2008. In 2007, his group jointly discovered a new arenavirus as the cause of a cluster of deaths among Victorian transplant patients. Between 2007 and 2014 he played a leading role in the creation of the Doherty Institute into which VIDRL relocated in April 2014. In 2010, he received the Melbourne Health Chairman’s Award for outstanding leadership. In 2011, he received the Victorian Health Minister’s award for an outstanding achievement by an individual or team in healthcare.